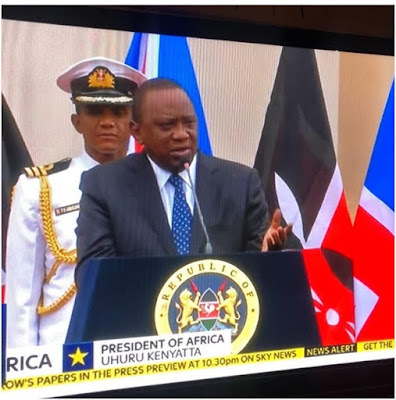 The shocking error was made during Uhuru’s joint presser with UK Prime Minister Theresa May in State House, Nairobi. May’s trip to Africa included visits to S0uth Africa and Nigeria where she signed a raft of bilateral agreements ahead of Brexit. This brings to the fore the notion that some western journalists are so ignorant that they reckon Africa is a country. Check out the screen grab below.